Our premium residential unit provides a reasonable cost home solution for the control of bacteria, viruses and other microbials. Plus it oxidizes gases removing odors. Now with more powerful germicadal twin H lamp. Our premium residential unit is energy efficient due to our proprietary solid state design. One lamp controls bacteria, viruses, mold spores (pathogens), while the second lamp oxidizes gases and removes odors. Lets you know at a glance your system is working. Homeowner can adjust output as needed. 120-240VAC – Manufactured using UL Approved Parts. This unit controls bacteria, viruses, mold spores (pathogens) & odors. 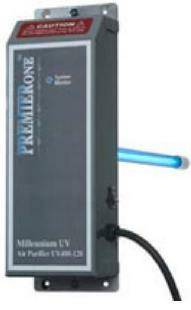 PremierOne provides a reasonable cost home solution for the control of bacteria, viruses and other microbials. Our most powerful residential / light commercial germicidal unit uses less energy than our previous dual-lamp unit. Dual Voltage, 120 or 240V AC – Manufactured using UL Approved Parts. 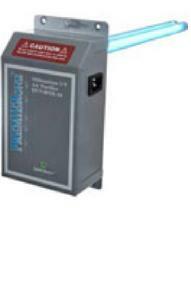 This more powerful unit controls bacteria, viruses & mold spores (pathogens). 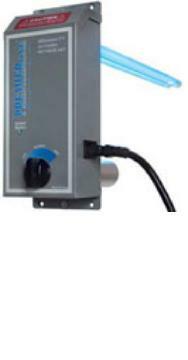 PremierOne provides this entry level unit as a low cost home solution for the control of bacteria, viruses and other microbials. This premium 120 volt unit is equal to competing single lamp units and is perfect for a home owner on a tight budget. Our most economically priced residential germicidal unit. 120 VAC – Manufactured using UL Approved Parts. Output @1 M uW/cm2 70 Suitable up to a 3 ton air handler. This unit controls bacteria, viruses and mold spores (pathogens). 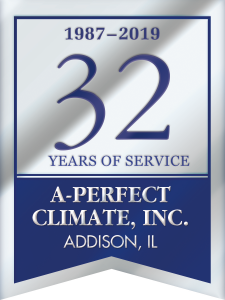 All across the DuPage County area, including Addison, Illinois and the Chicago Metropolitan area, we offer our emergency heating and air conditioning repair specialists to residential and commercial customers. Our After Hours/Emergency Service technicians will diagnose problems and offer a range of affordable solutions for repair, part replacements and full system installations. Call A-Perfect Climate for all HVAC system issues.